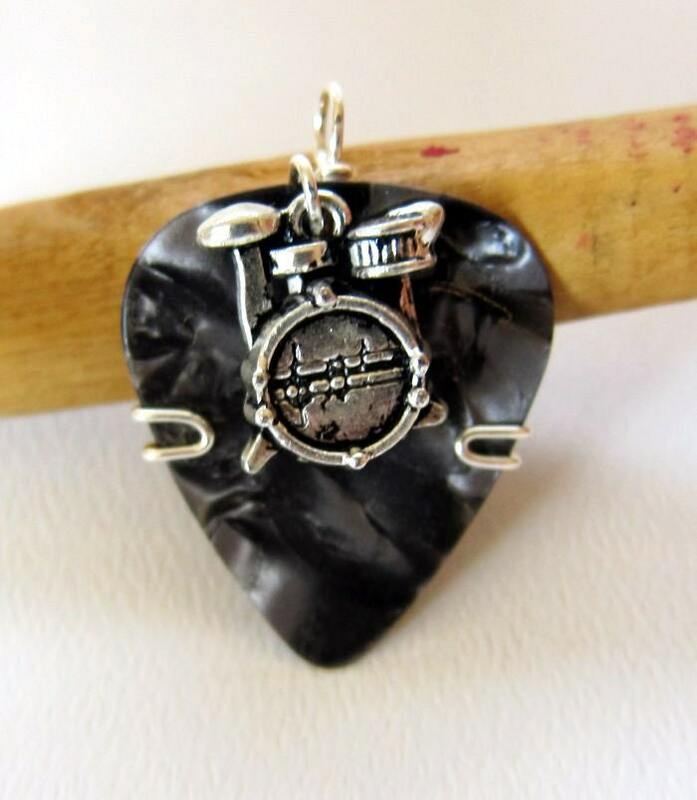 A medium gauge charcoal colored guitar pick with a silvertone drumset charm on it. This pick is perfect for that person who is multi talented and can play more than one instrument. Or for anyone who loves both the guitar and the drums.